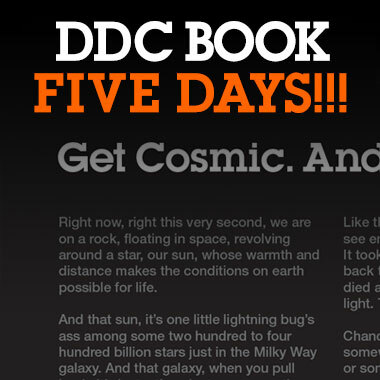 Draplin Design Co.: DDC BOOK: Five Days Out!!! DDC BOOK: Five Days Out!!! FOUR FINGERS AND A TOENAIL: Just five days out from our official May 17th book release!!! Thanks to everyone who came to our book release at Hand-Eye Supply! Bullshitting, books and brews! Over 100 people! Bam! Thanks Tobias, Lyndsey and all Hand-Eye Supply folks! ACT NOW: Get your copy on pre-order at ddcbook.com. Pick from a list of fine retailers.